A Valentine’s Day DIY For The Guys. Alright friends, who has trouble thinking of cute Valentine’s Day gifts for the men in your life? Man-presents are tough! When a friend of mine introduced to me the makers of JL The Brand and their stylish(and American-made!) dress socks a little light-bulb went off in my head for a cute Valentine’s Day gift idea for my husband. (And PS: I already gave it to him, so I’m not ruining any surprises here… the life of a blogger-husband, you get your DIY presents a week early because it was part of a blog post!). 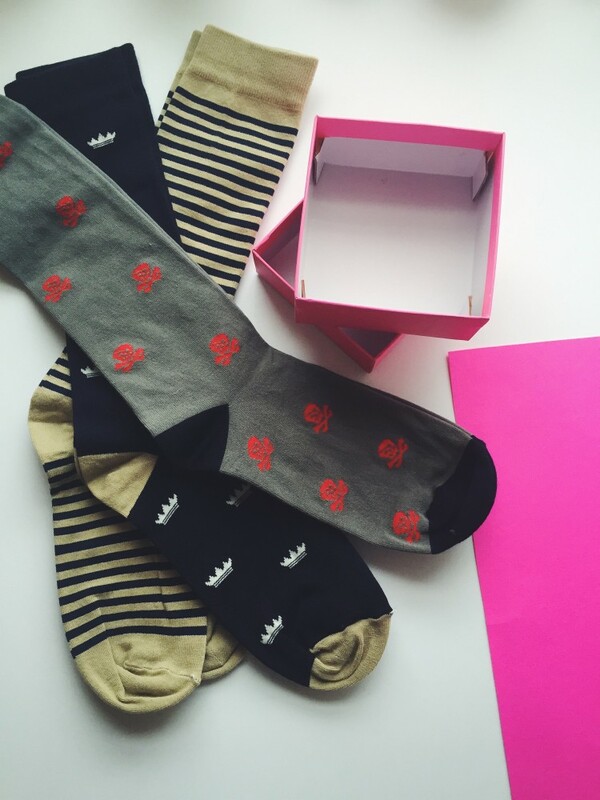 I found a small square box and rolled up the patterned socks — love those little crowns! 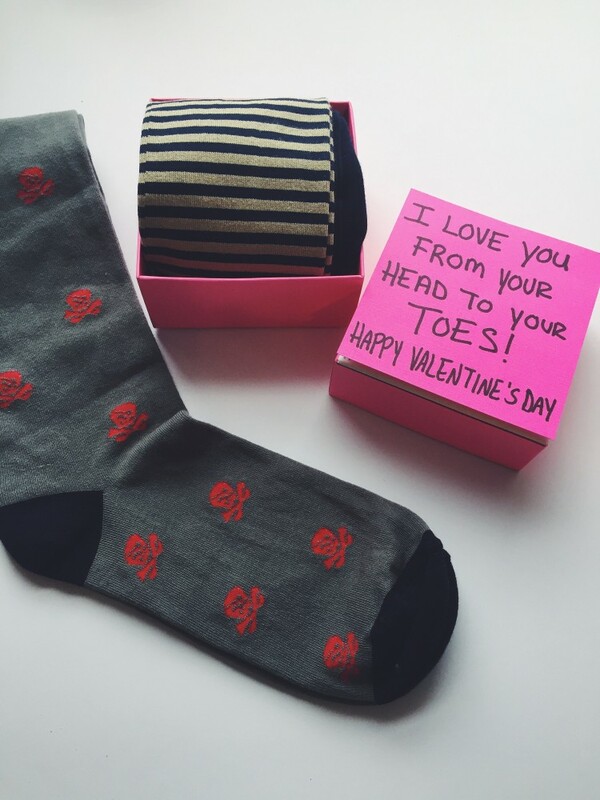 — and topped the box with a hand-lettered quip that says “I love you from your head to your TOES!“. Aren’t Valentine’s Day puns the best? And hey! If you’re looking to treat the guy in your life to some stylish toes too, JL The Brand is offering Domestikatedlife readers 20% your order + free shipping, just use the code SoxAppeal. Please note: JL The Brand has provided me with product featured in this post. All opinions, ideas, and DIYs are my own. A Sweet Valentine’s Day DIY + Giveaway. How To Stay Sane And Chic During A Snowpocolypse. 7 Responses to "A Valentine’s Day DIY For The Guys." Haha I love puns ! Cute! Just stopped by the online store, and they have chili pepper socks! You could put on the note, “You spice up my life!” Thanks for sharing this brand with your readers. I love that idea Jennifer! Such a cute idea ! My brothers will love these and I adore your V-Day pun. This was a great idea! !